MUNICH - While Japan maintains sanctions on Russia over the crisis in Ukraine, Prime Minister Shinzo Abe is preparing for a visit to Japan by President Vladimir Putin this year for two reasons — to move forward the stalled territorial negotiations and the other to drive a wedge between Moscow and Beijing. 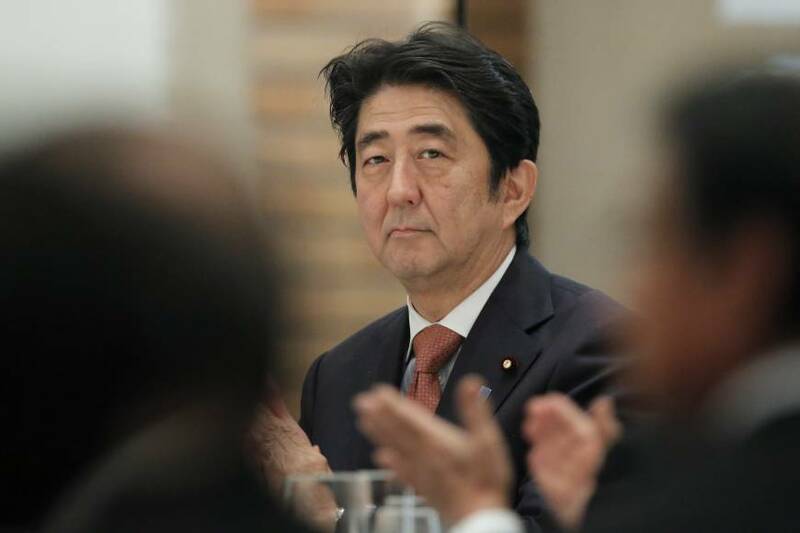 As the security environment in East Asia has become increasingly severe partly because of China’s rising territorial ambitions and military buildup, Japan doesn’t want to push Russia further to the Chinese side, according to Japanese officials. This is especially important when the frequency that Air Self-Defense Forces jets have scrambled against unidentified aircraft approaching Japan — many of which are believed to be from China and Russia — has jumped seven times over the past 10 years, they say. Even so, the plan to have Putin visit Japan this year remains intact, according to Abe. During talks on the sidelines of a Pacific Rim summit in Beijing last November, Abe and Putin agreed to start preparations for such a trip at an appropriate time in 2015. A Putin visit would likely bring about an improvement in bilateral ties, particularly in economic areas. While Russia has been hit by Western sanctions, the ruble’s fall and lower crude oil prices, there are signs that the country has strengthened relations with China. In many cases, Beijing is taking advantage of Moscow’s economic isolation, analysts say. The most significant development, they point out, was a May 8 agreement between Putin and President Xi Jinping to eventually link the Moscow-led Eurasian Economic Union and Beijing’s Silk Road Economic Belt initiative, as a way of jointly managing what was formerly Soviet Central Asia. “We have to watch out for any kind of Russia-China axis,” said Daniel Twining, senior fellow for Asia at the German Marshall Fund of the United States. But at the same time, Twining pointed to Moscow’s dilemma. The Eurasian Economic Union groups Armenia, Belarus, Kazakhstan, Kyrgyzstan and Russia. China’s economic belt project envisages building a network of highways, railways and other infrastructure linking the world’s second-largest economy to Central and South Asia and Europe. Abe’s plan to achieve a Putin visit this year came to light when he met with Sergey Naryshkin, speaker of the State Duma, the lower house of Russia’s parliament, in late May in Tokyo. Details of the May 21 meeting are not known, except that Naryshkin conveyed a message from Putin to Abe. 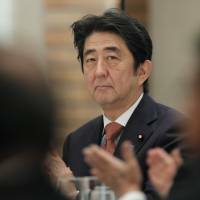 In a message he sent to a Japan-Russia forum in Tokyo on May 21 this year, Abe expressed resolve to address a dispute over four Russian-held, Japanese-claimed islands off Hokkaido, an issue that has prevented the two countries from concluding a postwar peace treaty. Similarly, Naryshkin, in an indirect way, urged Japan to lift sanctions as he spoke to Rossiya 24 TV channel on May 21. “We are ready to discuss any topics, even as delicate as a peace treaty with Japan, but it should be done with respect,” he was quoted as saying by the Tass news agency. Referring to Moscow’s position that it will not negotiate the territorial issue with Tokyo while the sanctions are in place, Taisuke Abiru, a research fellow at the Tokyo Foundation think tank, said it will be hard for Abe to advance the issue even if he sits down for talks with Putin in Japan under the current circumstances. Removing sanctions would not only undermine the G-7’s coordinated action against Russia but send the wrong signal to China because Japan draws parallels between Moscow’s annexation of Crimea and Beijing’s muscle-flexing in asserting territorial claims in the East and South China seas as attempts to change the status quo by force.